The following ingredients appear in the various products we offer, please check each individual product page to see which ones are in each particular product. AFA - This highly nutritious strain of edible blue-green algae, harvested from the pristine waters of Upper Klamath Lake, Oregon, contains over 65 perfectly balanced, naturally occurring vitamins, minerals, amino acids (protein) and essential fatty acids. Aloe - Rich in enzymes, vitamins, proteins and minerals that support skin functions; helps maintain the skin's moisture balance while stimulating blood circulation. Anthocyanins - water-soluble pigments that may appear red, purple, or blue according to pH. They belong to a parent class of molecules called flavonoids and typically function as free radical scavengers. Vitamin C and anthocyanin compounds are powerful antioxidants. Amylase - digests starch and carbohydrates. Acts in concert with Protease to stimulate immune system function. Acts in association with lipase to digest fragments of viruses and reduce inflammation and infections. Apricot Kernel Oil - Apricot oil is known for its ability to penetrate the skin without leaving an oily feel. Its moisturizing, revitalizing properties are also popular in many cosmetics for dry or aged skin. Arabinosidase - digests the sugar arabinose. Aslan Formula GH-3 - The most celebrated anti-aging formula in the world, formulated by Romanian Dr. Ana Aslan for the express purpose of reversing and halting the aging process. Prepared in a strong B-complex base, it reduces stress, which is one of the major causes of lines on the face, and overactive oil glands, which cause pores to enlarge and form bumps under the skin. Beeswax - A natural secretion of honeybees; helps form a protective barrier between skin and the environment. Beta-Glucanase - breaks down polysaccharides and fibers known as beta glucans. Bergamot - helps fight oily skin, acne, psoriasis, eczema, as well as cold sores. 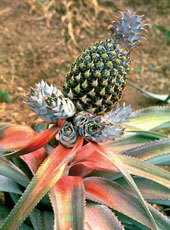 Bromelain - an enzyme from the stem of pineapples, breaks down protein and fights inflammation and reduces swelling. May speed the recovery of injuries and swelling resulting from athletics, childbirth and surgery. Bulgarian Rosewater - rosewater is renowned as a gentle skin softener. Camu-Camu - This fruit has the highest recorded amount of natural Vitamin C of any food. In comparison to oranges, camu-camu provides 30 times more Vitamin C, 10 time more Iron, 3 time more Niacin, twice as much Ribflavin, and 50% more Phosphorus. It is also a significant source of Potassium, and has a full complement of minerals and amino acids that can aid in the absorption of Vitamin C.
Carrot Oil - Rich in vitamins and minerals; has strong antiseptic properties. Cayenne Pepper - Cayenne is a medicinal and nutritional herb. It is a very high source of Vitamins A & C, has the complete B complexes, and is very rich in organic calcium and potassium, which is one of the reasons it is good for the heart. It aids elimination and assimilation, and helps the body to create hydrochloric acid, which is so necessary for good digestion and assimilation, especially of proteins. Cellulase - digests fiber cellulose into smaller units which include D-glucose. Helps remedy digestive problems such as malabsorption. Cellulase is a very important enzyme because the human body cannot produce it on its own. Chamomile - A soothing anti-inflammatory with strong healing properties. Chlorophyll - detoxification and cleansing. Coconut Oil - A creamy emollient oil rich in vitamins and fatty acids. Co-Enzyme Q-10 - One of the most powerful anti-oxidants on Earth. Crystalloid Sea Minerals - used to work with vitamins and enzymes to help assimilate and digest foods, neither vitamins or enzymes will work without minerals available to work with them. When combined these substances create a reaction that allows your body to function properly. Distilled Water - Contains no impurities, heavy metals or fluorides, it prevents interactions between active skin ingredients and any unwanted minerals. 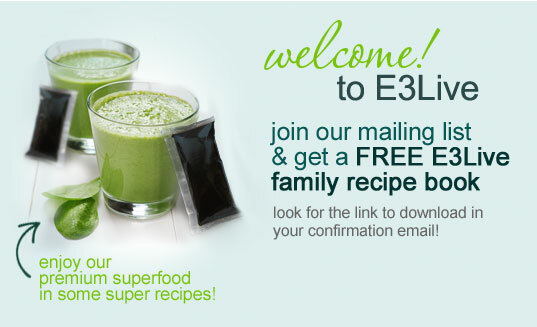 E3AFA/E3Live® Aphanizomenon flos-aquae (AFA) - This highly nutritious strain of edible blue-green algae, harvested from the pristine waters of Upper Klamath Lake, Oregon, contains over 64 perfectly balanced, naturally occurring vitamins, minerals, amino acids (protein) and essential fatty acids. Evening Primrose Oil - ability to provide relief for inflammatory skin conditions. The oil of the evening primrose is uniquely rich in linoleic and gamma-linolenic acids. Extra Virgin Olive Oil - Attracts external moisture to the skin. Frankincense - Stimulating, aids with stress, and the immune system. 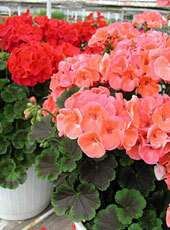 Geranium - Revitalize skin tissue. Glucoamylase - breaks down carbohydrates, specifically polysaccharides. Grape Seed Oil - A light, easily absorbed oil, it is high in Vitamin E, essential fatty acids and minerals; has strong antioxidant properties. Green Tea - Cleansing, astringent, and antioxidant. Hemicellulase - breaks down carbohydrates called hemi-celluloses, which are found in plant foods. Invertase (Sucrase) - digests sugars. Beneficial in helping prevent gastrointestinal problems and discomfort. Jojoba Oil - an effective cleanser, conditioner, moisturizer, and softener for the skin and hair. It is applied directly to the skin to soften the skin, to reduce wrinkles and stretch marks, to lighten and help heal scars, and to promote healthy scalp and hair. 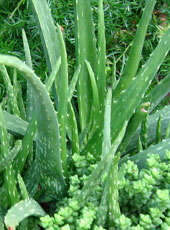 Relieves skin problems, dandruff, psoriasis and dry skin. Juniper - Detoxifier, cleanser and as a compress can treat acne, athletes foot, and dandruff. Kukui Nut Oil - Aids in healing dry skin. Lactase - digests the milk sugar lactose. Extremely useful for individuals suffering from lactose intolerance. May be beneficial for those suffering from irritable bowel syndrome and other digestive disorders in which a high percentage are adversely affected by dairy products. Leucine - As a dietary supplement, leucine, an essential amino acid, has been found to slow the degradation of muscle tissue by increasing the synthesis of muscle proteins in aged rats. Leucine is utilized in the liver, adipose tissue, and muscle tissue. In adipose and muscle tissue, leucine is used in the formation of sterols, and the combined usage of leucine in these two tissues is seven times greater than its use in the liver. Lipase - digests fats, thereby aiding in weight control, maintaining and enhancing cardiovascular health, and helping maintain proper gall bladder function. Malt Diastase (Maltase) - digests maltose, malt and grain sugars. May help relieve environmental sensitivities and allergies. Mannanase - digest the sugar known as mannose. 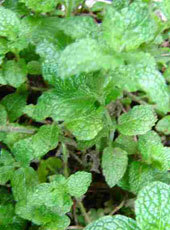 Mint - Mild antiseptic, anti-microbial and stimulant. MSM - Methyl-sulfonyl-methane (MSM) is a naturally occurring sulfur compound found in our bodies as well as in many common beverages and foods, including milk, coffee, tea and green vegetables. In its purified chemical form, it is an odorless, essentially tasteless, white, water-soluble crystalline solid. It is one of the safest substances in biology, similar in toxicity to water. Some of MSM's essential functions in the body include maintaining the structure of the proteins in the body, helping the formation of keratin which is essential for hair and nail growth, aiding in the production of immunoglobulin which maintains the immune system, and catalyzing the chemical reactions which change food into energy. The MSM we use is plant based. Soothing and softening to the skin; tightens connective tissues (important to keep skin from sagging). NaPCA (Sodium PCA) - A natural humectant, derived from amino acids; in addition to keeping skin soft and wrinkle-free, it actually serves to attract water into the skin from the surrounding air. As children, our skin possessed an abundant supply of this remarkable compound, but as we age, the level of sodium PCA drops 50% or more! Orange Oil - A great source of Vitamin C; helps rejuvenate dull skin. Oregano - Antiseptic, eases arthritis and muscle pain. Palm Oil - Circulation, relieves headaches and uplifting. Papain - similar to the chymotrypsin, a protein-digesting enzyme produced by the body. Used to treat chronic diarrhea and celiac disease. Treats gastrointestinal discomfort due to intestinal parasites. Pectinase - breaks down carbohydrates such as pectin (found in many fruits). Phenalmin - is an extract from AFA containing high concentrations of the active ingredient, Phenyl ethylamine (PEA). PEA is a compound naturally produced by the brain and is responsible for the mediation of experiences associated with pleasure and mental awareness. For example, PEA is released in the brain when one experiences a feeling of love and joy; for this reason it is often referred to as "the" molecule of love" and as a "mood elevator". Phenolic - refers to polyphenol activity. Polyphenol refers to a large class of natural compounds found in colorful plants and with laboratory evidence of antioxidant activity. Phenylalanine - an amino acid known for its possible antidepressant activities. Phycocyanin - is the blue pigment present in blue-green algae that acts in the living cell as a strong natural antioxidant. When isolated, phycocyanin was shown to have strong antioxidant and anti-inflammatory properties, and to reduce or prevent inflammation in various models of inflammation. Phytase - breaks down carbohydrates, specifically phytates (phytic acid), present in many difficult to digest grains and beans. Especially useful for those suffering from serious bowel disorders which result in an inability to handle phytates from soy and gluten from wheat, oats, rye and barley. Phytase may increase mineral absorption and the bioavailability of iron, zinc, calcium, and magnesium. Protease Blend - Blend of 5 proteolytic enzymes including peptidase, which aid in the digestion and utilization of dietary proteins. Helps deliver the specific nutrients necessary for muscle and tissue repair, as well as for vibrant immune system function. 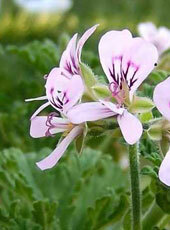 Rose Geranium - rose geranium oil helps to balance the secretion of sebum and clears sluggish and oily skins, while the antiseptic and cicatrisant properties make this oil an effective aid to help with burns, wounds, ulcers and other skin problems. Rosehip Seed Oil - Rosehip seed oil contains Vitamin A, which helps to delay the effects of skin aging, assists with cell regeneration, and promotes collagen and elastin levels to increase. This results in firmer, smoother, and more youthful skin with greater elasticity. Rosehip seed oil also contains a high amount of essential fatty acids and Vitamin E, which further promotes healthy skin. In particular, it is rich in linoleic and linolenic acids, which are important skin nutrients. Rosemary - Antiseptic, eases arthritis and muscle pain. Serine - Serine is a non-essential amino acid and is important to overall good health, both physical and mental. Serine is especially important to proper functioning of the brain and central nervous system. Serine helps form the phospholipids needed to make every cell in your body. It is also involved in the function of RNA and DNA, fat and fatty acid metabolism, muscle formation, and the maintenance of a healthy immune system. The proteins used to form the brain, as well as the protective myelin sheaths that cover the nerves, contain serine. Without serine, the myelin sheaths could fray and become less efficient at delivering messages between the brain and nerve endings in the body, essentially short circuiting mental function. Shea Butter - An excellent skin emollient that helps skin retain elasticity; high in fatty acids. Slippery Elm - Compress for burns, skin cancer and poison. Spirulina - Spirulina is considered a complete protein because well over half of it consists of amino acids -- the building blocks of protein. It is also a rich source of other nutrients including B complex vitamins, beta-carotene, vitamin E, carotenoids, manganese, zinc, copper, iron, selenium, and gamma linolenic acid (an essential fatty acid). Sweet Almond Oil - used to relieve skin itch and dryness. In fact, all skin types can benefit from this essential oil. It is high in mono and polyunsaturated fatty acids, in particular Oleic Acid; a good source of Vitamin E. Contains naturally occurring Vitamins A, B1, B2, B6 and Vitamin E. Sweet Almond Oil may also be used as a cosmetic ingredient for softening and moisturizing. Tocopherol - Vitamin E is an essential fat-soluble vitamin that includes eight naturally occurring compounds in two classes designated as tocopherols and tocotrienols. Vitamin E is a powerful antioxidant, protects your cells from oxidation, and neutralizes unstable free radicals, which can cause damage. This is done by the vitamin E giving up one of its electrons to the electron deficient free radical, making it more stable. While Vitamin E performs its antioxidant functions, it also protects the other antioxidants from being oxidized. Valine - Valine is an essential amino acid. It has a stimulating effect and is needed for muscle metabolism, repair and growth of tissue and maintaining the nitrogen balance in the body. Since it is a branched-chain essential amino acid, it can be used as an energy source in the muscles, and in doing so preserves the use of glucose. Vitamins A, C, D and E - When combined, these vitamins are powerful antioxidants that are important in building collagen, the connective tissue that holds skin together. Willard's Water - An altered electrically charged healing water; helps to improve the texture of skin. Witch Hazel Distillate - A soothing anti-inflammatory, anti-fungal and anti-bacterial; a wonderful, alcohol-free skin toner. Xylanase - breaks down the sugar xylose.